When it comes to completing file transfers over an enterprise grade network, SCP (Secure Copy) servers are one of the core tools used by IT administrators the world over. It has the perfect blend of versatility, security and speed to hold its own against many other file transfer protocols like TFTP or FTP. 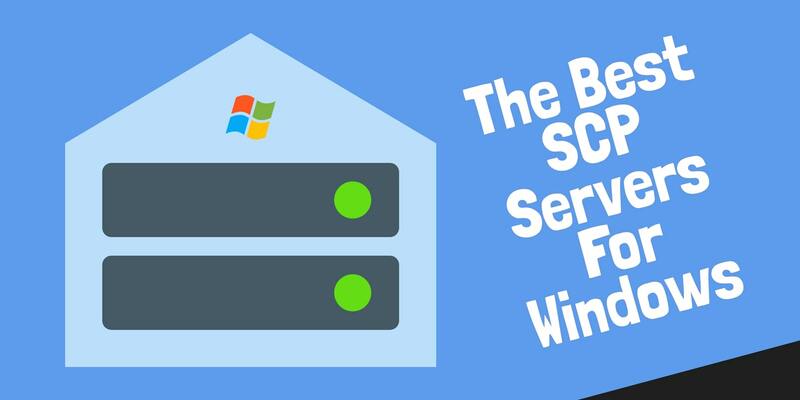 In this article we break down why you should be using an SCP server and the best SCP servers for Windows. Why use an SCP server? SCP is mainly used as a secure protocol for conducting file transfers. SCP allows files to be moved between different hosts via SSH. In fact, SCP is reliable because it requires SSH (Secure Shell) level authentication. This sets it apart from a protocol like TFTP, which is vulnerable to unauthorized access because it lacks any form of authentication. Likewise it is more secure than FTP because it uses the SSH protocol. In short, SCP transfers files on an encrypted basis keeping them secure from unauthorized users. However, security is not the only reason why you would choose to use the SCP protocol. Many administrators choose SCP because it is often much faster than TFTP or FTP. SCP’s faster transfer speed means that the user spends less time waiting for files to transfer across an enterprise grade network. In addition many SCP servers incorporate SFTP and FTP protocols as part of their platform. This makes SCP servers a core part of many IT administrators’ toolkits. Generally speaking, SCP is used to transfer files via a medium that isn’t secure. For example, if you’re looking to transfer files across the internet, SCP would be a good choice. The reason is that the internet can be accessed by anyone so it’s a good idea to pick a protocol with inbuilt security. In this scenario, less secure protocols like TFTP would be unsuitable because they could be accessed by unauthorized users. In most cases SCP is used within the context of a network. SCP is primarily used to deliver firmware updates and configuration files to other devices on a secure basis. This is because it takes a long time to install firmware updates manually on a per-device basis across a large network. It makes more sense to use an SCP server to push firmware updates straight to devices without wading through tons of different systems. In order to understand SCP and its suitability for your work environment, it is important to realise the protocol’s limitations. This is a great utility if you have to communicate with a remote machine, but it is not really intended for remote server management. The purpose of SCP is that it provides one function: copying files from one name and location to another. The service adds on security to the standard copy function and it enables you to treat a directory on a remote server as if it were a location on your local computer. However, the SCP protocol does not include a command language. You can’t create directories on the remote server or even change directory in the folder structure of the remote machine. You need to set up access accounts for each remote device that give you direct access to the directory that is the location of the files that you want to transfer. You can use SCP to move files from a central store out to devices, or get files from remote devices and save them on your central administration server. You can’t use SCP to execute scripts or alter the operating system or directory structure of any remote server or device. Now we’ve outlined a little bit of information about what SCP is and how it differs from similar protocols, we’re going to look at SCP servers themselves. When looking at the options, it’s important to note that not all SCP servers are made the same. Before making a purchase or deploying a new tool, make sure that you’ve found a solution that aligns with your SCP objectives. Below we break down some of the best SCP servers available on the market to help you decide which is right for your organization. SolarWinds have long been regarded as one of the most comprehensive network administration tool providers on the market. For users looking for SCP servers, SolarWinds SFTP/SCP Server is top of the food chain. This platform can be used to transfer up to 4GB of files at once, giving it the bandwidth to meet the needs of most network administrators in a demanding enterprise environment. It is not only suitable for pushing firmware updates to devices but backing up device configurations as well. This means if you’re looking to transfer files securely across your network then this tool has all the features you need. In addition, the user interface is simple and easy to use. This makes it much easier to conduct file transfers without having to sift through endless navigation trees. SolarWinds SFTP/SCP Server also allows the user to authorize individual IP addresses and address ranges. This helps to speed up the process of running a variety of file transfers. Without a doubt the most useful feature is the ability to create virtual users that don’t exist on the hard disk. Essentially you create user accounts that help copy files securely. SolarWinds SFTP/SCP Server can be downloaded for free here. If you want to access extra features such as config template, script management, and configuration audits, then you will need to purchase SolarWinds Network Configuration Manager for $2,963 (£2,195). This tool is highly recommended for administrators working within larger organizations. If you’re searching for a program that adopts a savvy approach towards SCP Server management, then Bitvise is a tool you should definitely consider. Bitvise supports both SCP and SFTP and allows the user to create virtual users in order help copy files securely and access file directories without creating new user accounts. Bitvise SSH server is also quite powerful and can comfortably transfer files between 4 GB to 6 GB if needed. This makes Bitvise a very good choice for larger organizations that need to transfer a large volume of files. While smaller organizations won’t necessarily need all this power this server’s strength is one of its main advantages. What really sets Bitvise apart from other providers on this list is its dedication to security. For example, you can set Bitvise to only allow incoming SCP connections. By doing this you prevent your system from interacting within external shell commands from other devices. This avoids the whole issue of dealing with external PowerShell commands that can be used to disrupt your service. Overall, Bitvise is a platform you should consider if you want an SCP server with substantial power and additional security. The ability to prevent your system interacting with external shell commands is essential for maintaining the integrity of your system. The only major issue with Bitvise is that it is only free for personal use. There are a number of pricing options available for Bitvise based on your needs, but the core product costs $99.95 (£74) per installation or $10,000 (£7,417) as a site license. If you’d like to download Bitvise it can be accessed through this link here. When it comes to barebones approaches towards SCP servers, FreeSSHd is in a league of its own. This lightweight application is capable of working on any Windows system, making it ideal for organizations looking for fast track deployment. In terms of server usage, FreeSSHd is also very lean, meaning it won’t sap unnecessary resources. This feature is very beneficial in an enterprise environment because it allows you to conduct file transfers without adversely affecting your performance. The simplicity of FreeSSHd is both a blessing and a curse. While it is easy enough to execute a file transfer, the user interface isn’t as satisfying to use as a product like SolarWinds SFTP/SCP Server. Similarly, the FreeSSHd website is also completely out of date. If you a require a product with a more polished user interface and advanced features, then you’re simply better off with a product like SolarWinds SFTP/SCP Server. FreeSSHd is an open source platform and can be downloaded from this website here. FreeSSHd’s server is free for personal use but if you want to use it within a business context you’ll have to pay for it. The paid version costs $100 (£74) per server. No matter which version you choose, you’ll also be able to access a community forum fill of additional guidance to help you get the most out of the program. OpenSSH is mostly regarded as an SSH server on account of the name, but it also functions as a great SCP server as well. With SCP on OpenSSH, you can conduct SCP transfers from external servers to your computer, computer to server, and server to server. OpenSSH is one of the most well known SCP servers on the market and has become so because of its back-to-basics approach. OpenSSH is command-line based, meaning that you conduct all your transfers by using text-based commands. If you’re not comfortable working without a GUI, then you’ll struggle. However if you’ve used a tool like command prompt in the past, it is easy enough to get the hang of. In the event that your unsure of how to use OpenSSH, plenty of third-party information online can tell you how to use it. If you need a program with a cleaner user interface, then this isn’t the best choice. Security-wise, Open SSH has a lot of features that beat out even the stiffest competition on this list. For example, it has AES, ChaCha20, RSA, ECDSA and Ed25519 cryptography onboard to encrypt your data and keep it safe. OpenSSH begins the encryption process before authentication. Similarly, OpenSSH also has X11 forwarding, which prevents unauthorized users from accessing your information or inputting malicious commands. OpenSSH can be downloaded for free here. If you want to access further information about OpenSSH itself, including release notes and user documentation you can go to the platform website here. Overall this is a solid option for SME’s and large organizations alikethat want to conduct widespread SCP-based file transfers. As one of our top picks for SME’s, we have WinSCP. WinSCP is a basic SCP server that supports SCP, SFTP and FTP. The program features both a GUI and a command line interface. One of the unique things about WinSCP is that you can write scripts to automate the file transfer process. This is great because you don’t always have to manually execute file transfers. WinSCP is a good platform for network management because, if you weave in and out of multiple servers, you can store their IP addresses and usernames to tell them apart in future. As an open source application, WinSCP can be downloaded for free. Download WinSCP through the official website here. While Pragma Fortress may look like somewhat of a rudimentary tool in terms of design, it is incredibly powerful and impressive tool. This platform offers the user a variety of options in terms of SCP, SFTP and SSH. Its reputation is growing due to being one of the fastest tools on the market (THE fastest according to Pragmasys). Pragma SSH is one of the most versatile programs on this list. The user can choose between working through a GUI or command line-based platform. This is a Windows-based program that runs on Windows. Pragma SSH is also an ideal choice for enterprises looking for official accreditation. The platform is FIPS 140-2 and DoD certified. This product appears to be aimed at large organizations, as Pragma Fortress SSH can be scaled to accommodate more than 1000 concurrent sessions. This gives it more than enough power to sustain most enterprises needs. Pragma Fortress SSH can be purchased for $799 (£591) per license on the Pragmasys website here. PuTTY has steadily developed a name for itself as an open source SSH platform capable of running both SFTP and SCP transfers. Today, PuTTy has a place in most network administrators’ toolkits because it not only supports the above protocols but additional functions like Telnet and rlogin as well. As a result, PuTTY is a diverse program. While it doesn’t have the SCP depth of some of the other platforms listed here, it makes up for this discrepancy by being extremely versatile. PuTTy’s immense configuration options are somewhat of a blessing and a curse. For experienced users, there are plenty of options to design your overall experience from scratch. However once you’re in the initial stages of learning to use the program, they can seem a bit daunting. However this is a problem that fades away once you get some experience under your belt. Unfortunately, even though PuTTy is very diverse, it doesn’t have the command line potential of WinSCP or the raw power of Pragma Fortress SSH Server. In spite of this, PuTTy remains a reasonable choice for network administrators. As it is an open source application, PuTTY is available for free. PuTTY works on Windows 95, 98, 2000, XP, Vista, 2003 and 2008. It can be downloaded from the official site here. CrushFTP is mainly known for its strength as an SFTP server but it also functions as an SCP server as well. While the user interface isn’t completely contemporary, its modern enough to provide a more compelling user experience than a tool like PuTTy. 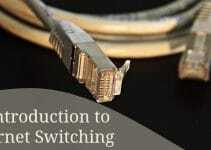 It’s simple to launch the program and start configuring your own settings from the beginning. CrushFTP is managed through a web browser interface that renders it suitable for deployment in an enterprise environment. The platform is also versatile enough to accomodate HTTPS, WebDAV and FTO(es) connections. This server stacks up well in terms of security, allowing the user to encrypt all data transferred through CrushFTP in PGP. This makes it a great choice for security-conscious admins. In terms of pricing, the small business edition is available for $70 (£51) with 50 connections. The professional version is available for $100 (£74) with no limit on concurrent connections, and the professional site license is available for $2000 (£1483) with unlimited installs of CrushFTP. You can also download a 30-day free trial of CrushFTP here. SFTP Plus is a file transfer software service that supports SCP, SFTP, FTPS and HTTPS. It has the basic SCP functionality to match any other product on this list. However, what separates SFTP Plus from other SCP servers is its automation capabilities. You can configure alerts and actions based on triggers of your choice. This is great for scenarios where you’re dealing with a lot of devices and need to stay on top of things. With regards to security, you can encrypt your file transfers to make sure no unauthorized users get access. While SFTPPLus is a solid product, it is very high priced for an SCP server. For that reason, most organizations would be better off choosing a more competitively priced alternative on this list. A number of pricing options are available for this platform. The basic version is SFTP Plus MFT Client, which can be purchased for $1000 (£750). You can also buy SFTP Plus MFT Server for $1500 (£1125). SFTP Plus offers a 30-day free trial that can be downloaded from this link here. SmarTTY is a free SSH platform that allows you to transfer files and folders via SCP. SmarTTY is centred around a command line interface, so if you’re looking for a fancier GUI y,ou’re likely to be disappointed. Despite its appearance, SmarTTY is a very competent SCP server in its own right. On the left hand side you are provided with a file navigation tree that allows you to see current files. This makes it easy to locate the files you want. The simplicity of the navigation is carried over into the command line which has clickable links that lead straight to the written files. The absence of a complete GUI may make SmarTTY unsuitable for some users, but these file paths leave the door open to less experienced users who want to learn the intricacies of the program. This program brings convenience to the table as well. For example, you can configure a remote host in one click, and you don’t need to enter your password each session. While this doesn’t have the multiple transfer potential of some of the other products listed, it does the job perfectly well. Enterprises requiring a low-priced and low maintenance SCP server would be well advised to download SmarTTY for free here. How is SCP different from SFTP? One of the main differences between SCP and SFTP is that SCP can only be used for the transfer of files. SFTP is a more complex file transfer protocol that allows the user to execute other commands such as creating or deleting directories and files. SCP is non-interactive, unlike SFTP, which works on interactive mode. SCP is the faster protocol of the two in terms of transferring files. 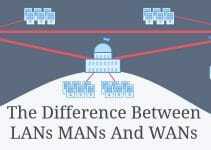 In terms of security both protocols are equal as they both run through SSH. Both SCP and SFTP can be secured through the use of two-factor authentication. Neither SCP or SFTP have any transfer size limitations so they are also tied in this respect as well. As you can see above, plenty of quality SCP servers are available for you to sink your teeth into. Even though SCP isn’t one of the most popular protocols around, it does offer a more secure approach to file transfers than TFTP or FTP. You should definitely consider SCP if you want to transfer files across your network securely and push firmware updates straight to your devices. By keeping your file transfers encrypted with SCP, you can make sure no unauthorized users access your information. SCP will also make sure you keep on top of your firmware updates without having to scramble through hundreds of different devices. This ensures you stay up to date without spending all your time tweaking individual devices. Employing SCP keeps these systems updated remotely without having to worry about network infrastructure falling behind. SCP will ensure you keep up with the demands of the future as well. Over the long term, this will be the difference between an evolving network environment and a downtime-ridden mess.